Fifteen years ago, making the world a little greener was a concept that was largely dismissed. But slowly, a collective environmental consciousness began to emerge, and it wasn’t so weird anymore. Recycling paper and plastic became normal. Conserving resources climbed up to, and stayed at, the forefront of our minds. One of the biggest changes for the greener that we’ve seen is alternative-fueled cars becoming trendy. It doesn’t even seem weird now, but back in 1997, when Toyota released the first Prius in Japan, America was in the middle of a “bigger is better” automobile trend. Jacked up SUVs and Humvees tore up the landscape 8 miles-per-gallon at a time. Since then, hybrid cars have gained popularity, and the green car trend has gained momentum. As of December 2013, more than 7.3 million hybrid electric vehicles have been sold. As a result, people have become more conscientious about not only what they drive, but how they drive. When you consider that this is merely the beginning of a trend that could (and should) continue to grow, the future looks, well, a lot cleaner. Evolution doesn’t happen quickly. In fact, it can be a very long, slow process. But rest assured, it’s happening. People are getting greener every day. Every Prius owner is reminded of the good they are doing for the environment whenever they get behind the wheel. And every non-alt-fuel car owner is affected, as well. 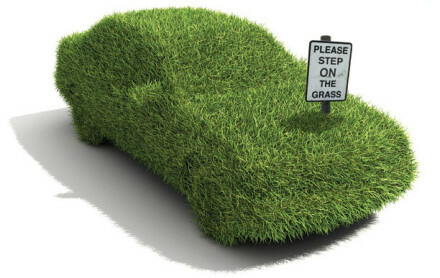 Like it or not, they think about the environment whenever they drive past a Hybrid, or a Prius, or a Leaf. It’s gonna take time, but one day we will look back and see how much we’ve evolved. These days, there are more than a few options for alternative-fueled cars. These cars operate on a dual-engine system, with an internal combustion and electric engines being utilized when applicable. These are, so far, the most popular of the list, with many major car manufacturers offering high-quality models (Honda’s Hybrid, Toyota’s Prius, Ford’s Fusion, and Nissan’s Leaf are the front-runners). While these cars do burn gasoline, it’s very minimal. This car is ideal for pretty much anything but long commutes or road trips. The cost isn’t terribly high, and when you factor in the cost of gas that doesn’t get purchased, it’s hard to argue against this one. Bio-Diesel cars are great, if not a bit quirky. Fueled entirely by modified recyclable vegetable oil, they are one of the cleanest-burning motorized vehicles on the road. Joe Spirito is a copywriter for I Drive Safely, the nation’s number one provider of online traffic school and driver’s education. For over 10 years, I Drive Safely has provided quality online courses to millions of new drivers, drivers looking to dismiss a traffic ticket and clear their driving record, and drivers looking to save money on auto insurance. Our self-paced online courses give students the freedom to study whenever and wherever they want. To find out more, please visit us at www.idrivesafely.com.